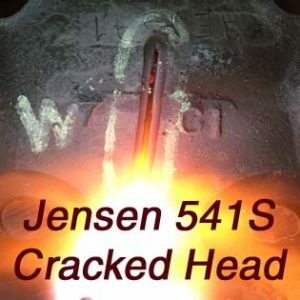 Jensen 541 Cracked Heads | Replace Or Repair ? 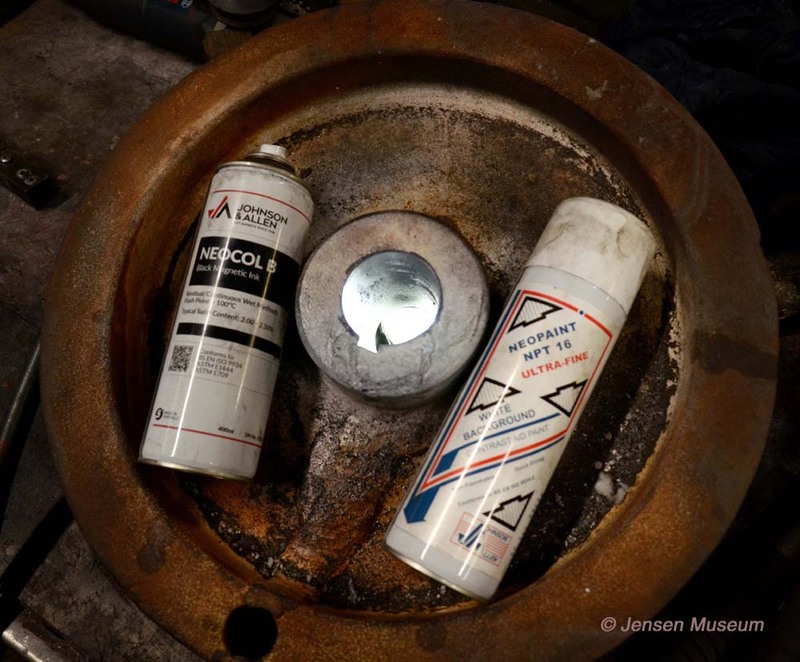 Using the Austin 6 cylinder cast-iron engine, the Jensen 541 head can be susceptible to cracks. It is a known problem, but the question is how best to solve it. With originality always uppermost in his mind, Museum curator, Ulric Woodhams, looks at the problem, and would recommend repair. 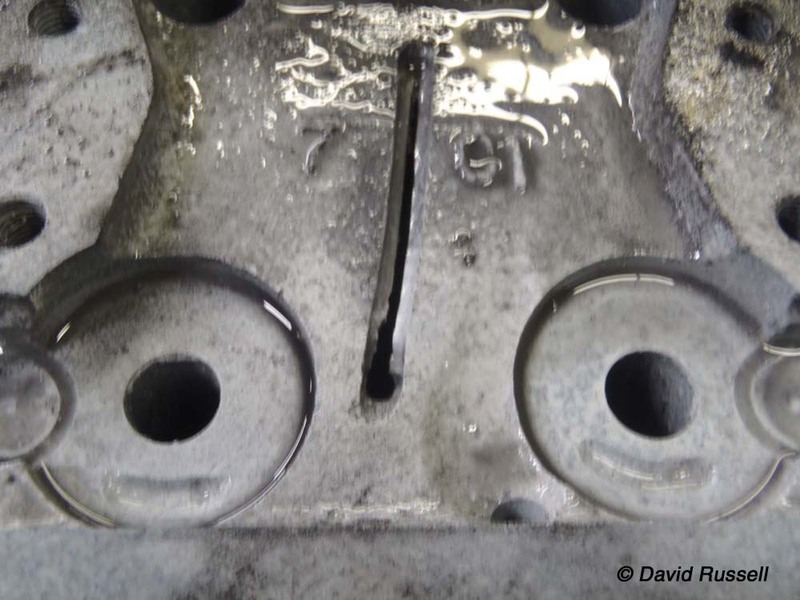 Today, one can purchase a brand new 6 cylinder head, however, these are made from aluminium. Not exactly period original, and not exactly a cheap remedy. There is another option – repair. But, the procedure of repairing cracked and damaged heads seems veiled in a blanket of mystery and half-truths. 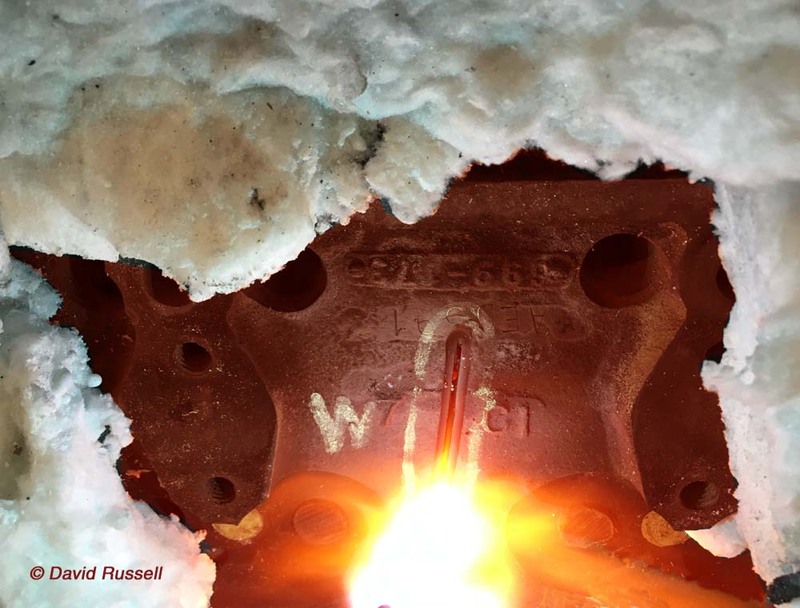 Even within the engineering industry, many call cast-iron repairing a lost art. It was time for the Museum to find a modern day craftsman in this lost art. The bad news wasn’t long in travelling back. Under pressure testing, it was found there was at least two cracks to the head, possibly more. Repair of cracks to cast-iron is particularly specialised work, almost a lost art in today’s world. It was certainly outside of the remit of Motocast. 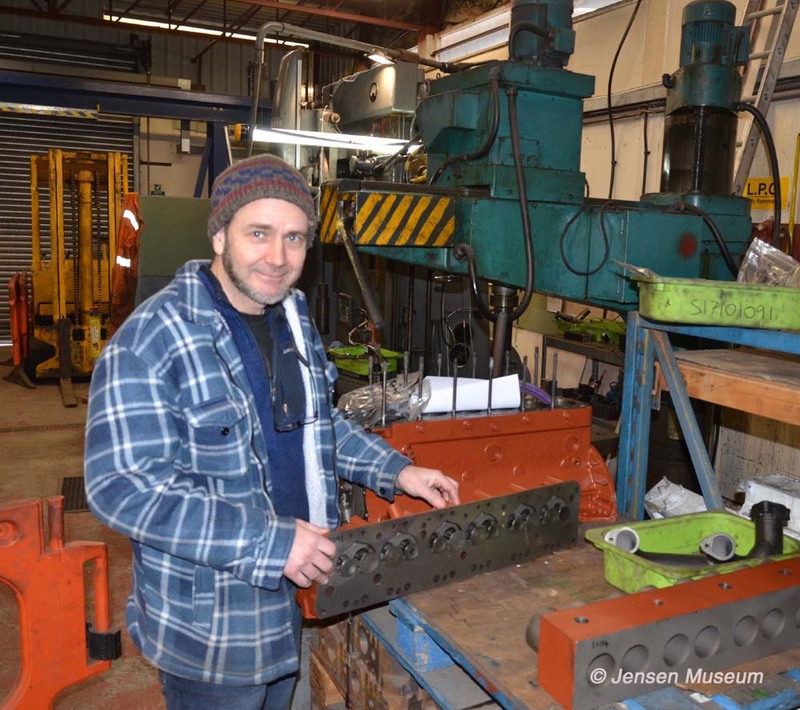 David Russell, founder of Slinden Services, with the finished Jensen 541S head. Even today, Russel remains a very hands-on managing director. Specialist engineering firms from the world of vintage & veteran cars, led Woodhams to the Derbyshire-based firm, Slinden Services, run by one of the modern pioneers of cast-iron repairs, David Russell. Russell had worked in the cast iron repairing industry from leaving school, and set up his own company, Slinden Services in 1995. Since then, his company has led the way for repairs of anything cast iron. Their portfolio of work to-date is enviable. An 1895 Benz engine, a Le Mans Aston Martin engine, through to work on the cast-iron windows at Trinity College, Cambridge, and the ironwork of Westminster Bridge. 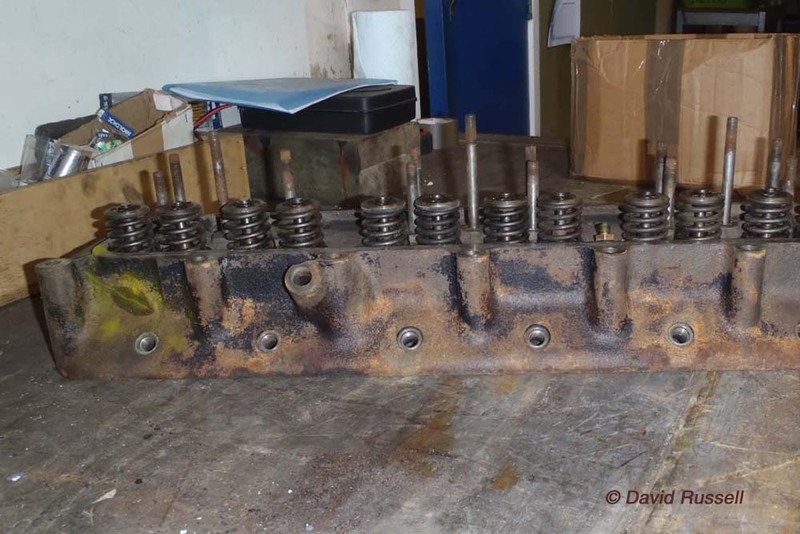 Certainly a 6 cylinder Austin head was not going to phase Russell. 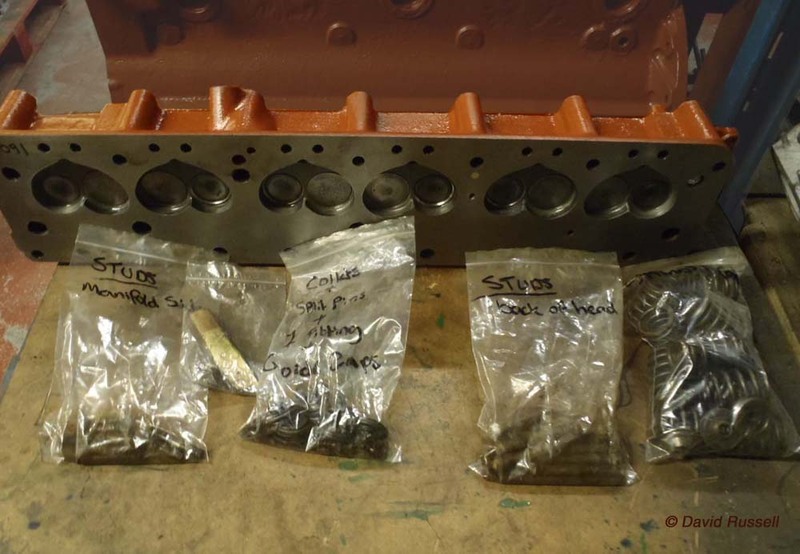 In fact the Museum’s Austin head from their Jensen 541S, was one of a number of vintage car heads being repaired at the same time in late 2017. The Jensen 541S head on arrival at Slinden Services. The process is long, and requires not just experience, but also patience. No desk-bound MD; Russell, will often be found on the factory floor, where even today, he will undertake the most awkward welding jobs himself. Depending on work-load, he will then delegate out other more straightforward welds to one of his employees. 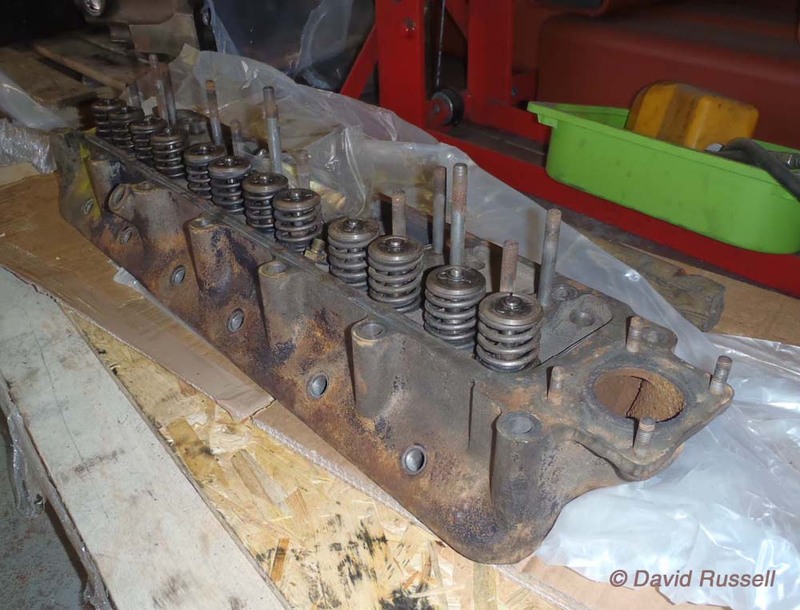 Our Jensen 541S head starts with disassembly and initial inspection. The head is pressure tested using air pressure to check for cracks. The air pressure testing area. The head is firmly held in place with jacks. A pressure line is bolted to one end. All other holes will be sealed up, and then air will be pushed in under pressure. Either the pressure will hold within the head, in which case it is free from cracks, or air will escape, revealing cracks. 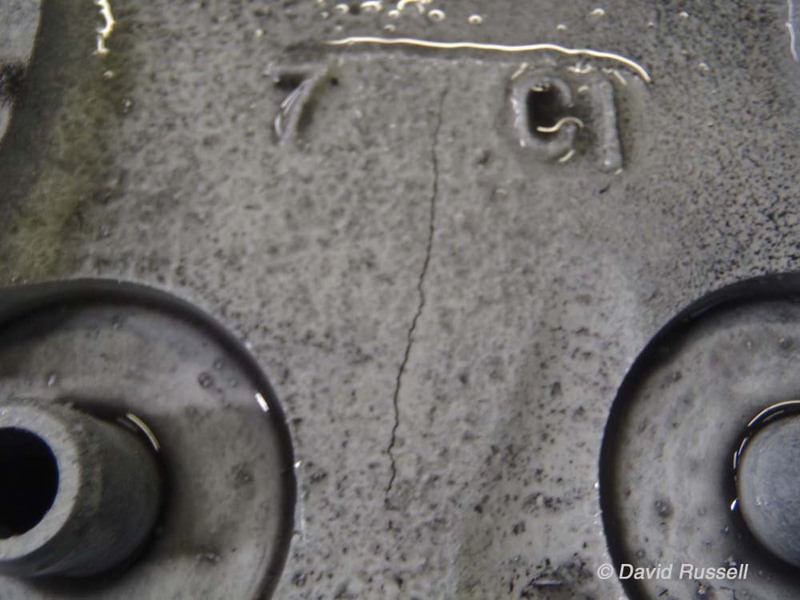 One crack was visible to the outside wall of the head, but pressure testing proved there were further cracks, including two hairline cracks to the valve seats, and a crack to the top of the head where the main rocker assembly would go. 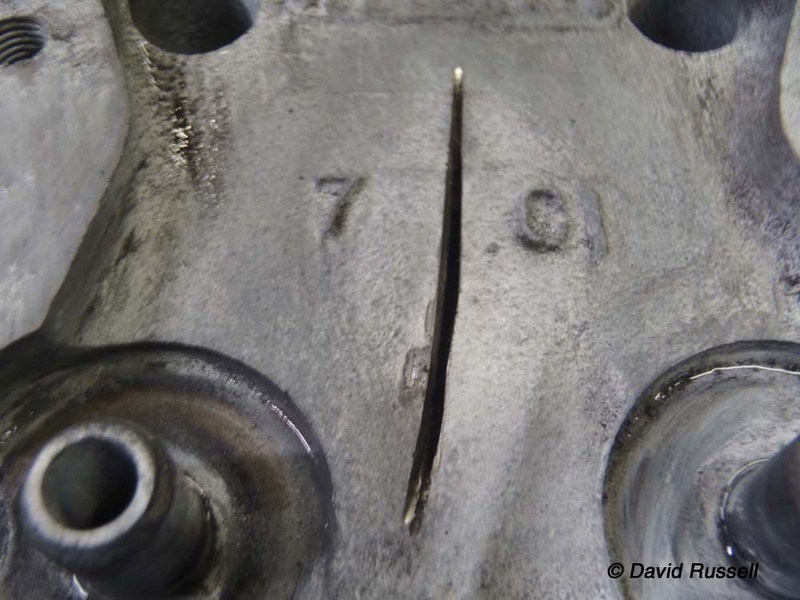 One large crack was towards the back of the head on the exterior wall above the spark plug hole. This was the crack initially noticed on the car, but others would be found. Suitably marked, the cracks are initially cut into, creating an open line. After the initial cut, a secondary cutting tool is run along the crack to open it up further along the leading edge of the wall. This is called boating. Now the head is ready to go into the oven. A purpose made brick oven is built up around the head (or whatever the item is requiring repair). A mass of white material covers the top. This material is actually made from clay and is particularly heat tolerant. Once nesting within the oven, the head is left cooking for 24 hours. After which, the head will have achieved the correct temperature to allow the cast iron welding to take place. The brick oven purpose made for what ever is going to be cooked. 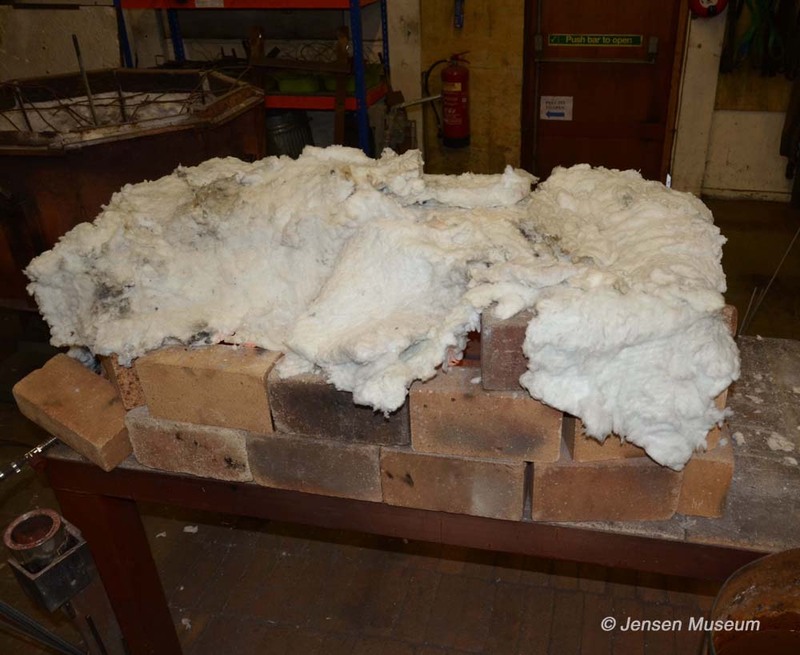 The white material is actually made from clay, and with holds the heat. However, it can be pulled open enough to allow welding to take place, without allowing the head to cool down too much. 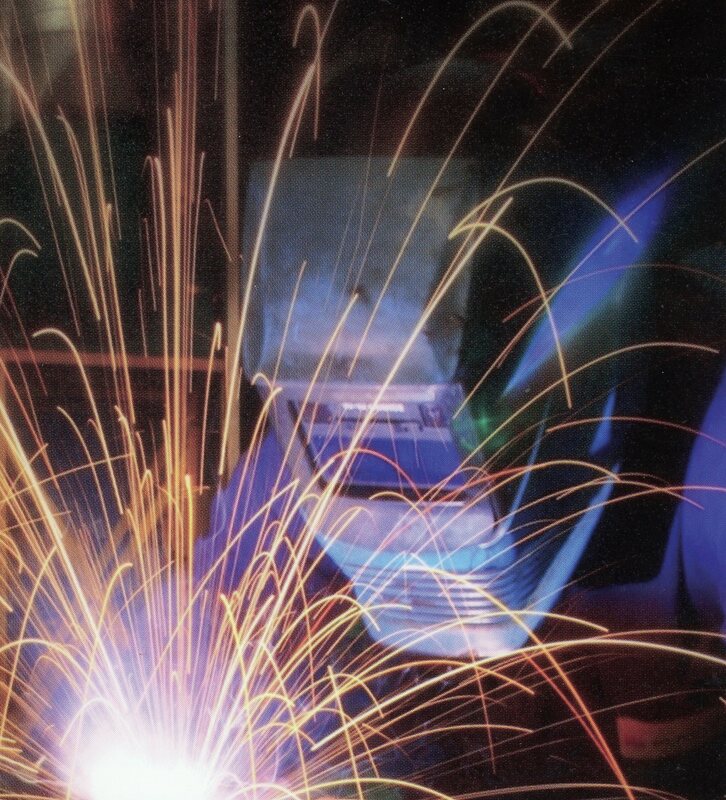 This process is called Fusion Welding, as the weld material is also molten cast iron. After welding has taken place, the head is left under controlled cooling. This allows it to achieve proper stress relief. Crack found to top of head. This crack was found after repairing two other cracks, then using the magnet. An initial cut is made along the length of the crack. Using a different tool, the cut is opened to the sides, which gives a base for the weld to fuse with the head. This is called boating. The head is cleaned back off and the area for welding marked up. After which, it is returned to the oven for 24 hours in preparation for welding to take place. 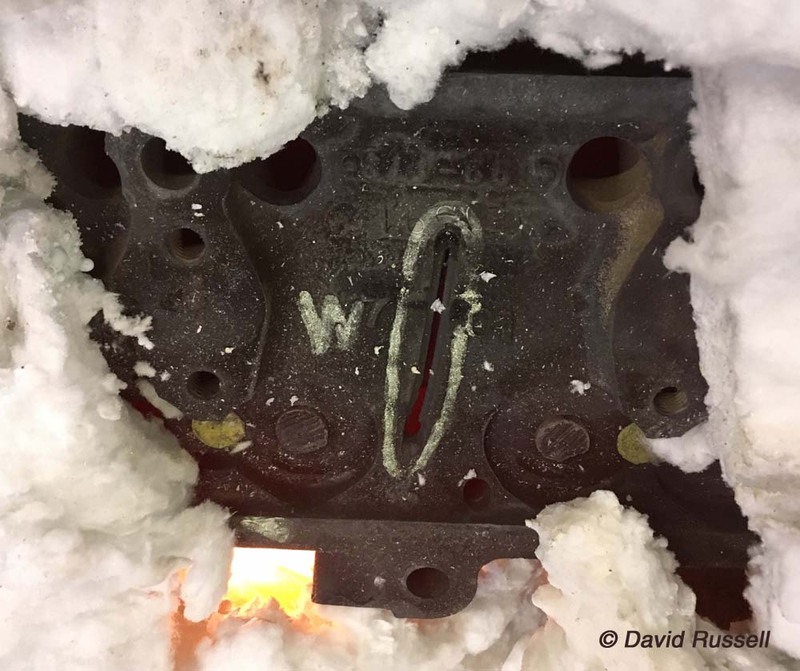 With the head at the correct temperature, welding work commences. 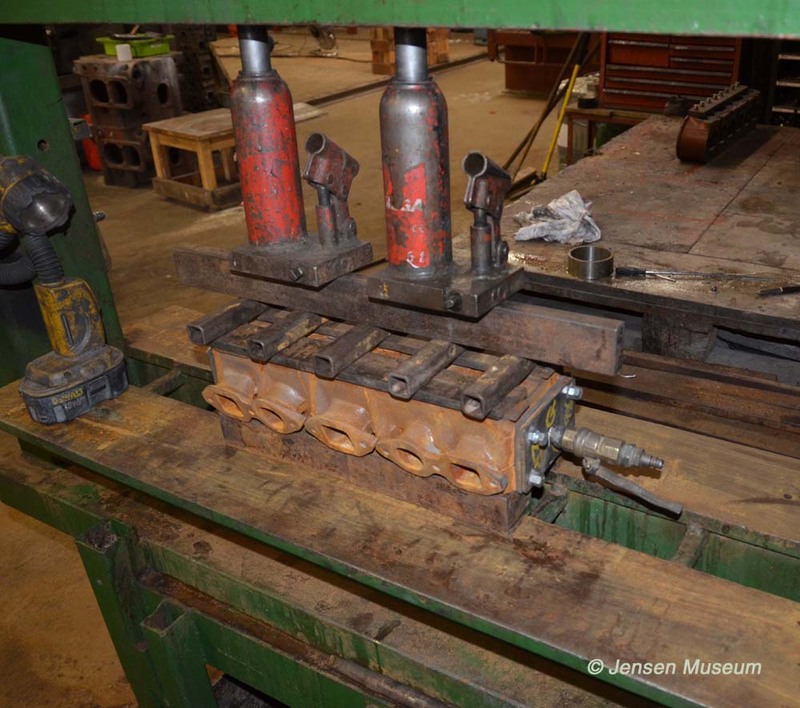 The cast-iron weld fuses with the cast-iron head as the welding process follows the length of the cut. Hence the name Fusion welding. After welding has taken place , the head is allowed to cool down within the oven at a slow pace. After 24 hours of cooling, the head is once again prepared in white background paint, and checked with the magnetic particle method. 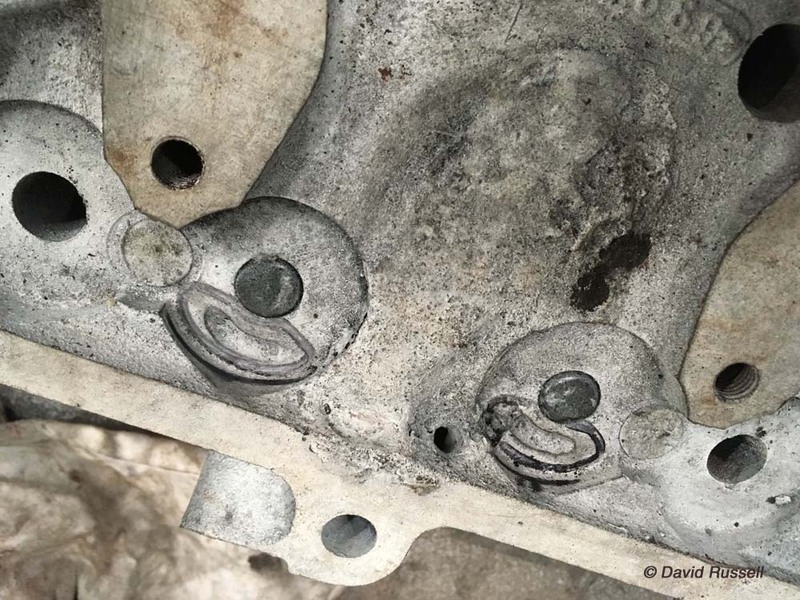 This both checks that the weld has been successful, and also checks for any additional hairline cracks that might not have been previously found. Once the head has passed the magnet test, it will be subjected to another pressure test. After which, machining and dressing of the welded areas will take place. After the head has been left to cool down, it is then submitted to a magnetic particle & dye penetration inspection. Here, the head is sprayed with a white background paint. Then it is sprayed with the magnetic particle spray, which is made up of thousands of iron filings within a solution. A vintage flywheel has been welded. The flywheel will be sprayed in the Neopaint NPT 16 Background White, after which it will be sprayed with the Neocol 8 the magnet particle solution. 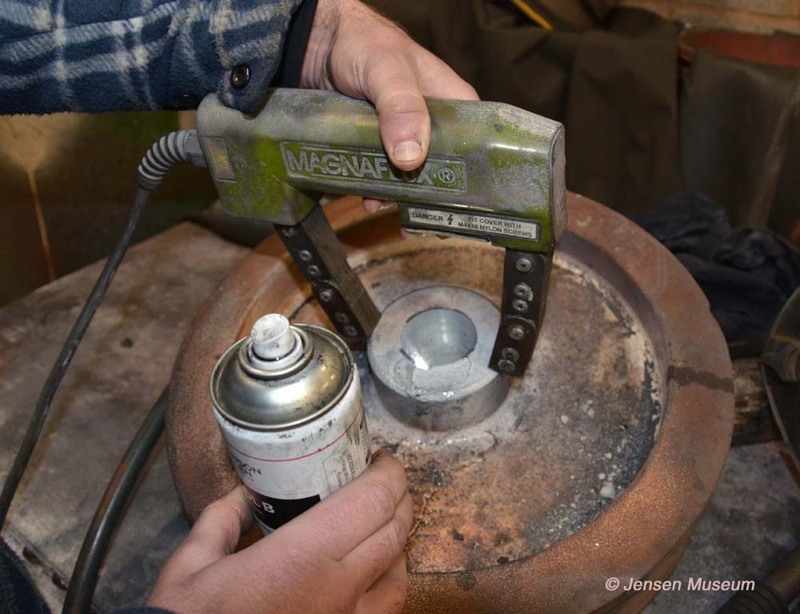 Using the hand held magnet, the particles will move towards a hairline crack (if there is one that hasn’t been found earlier). Demonstrated here, the magnet is position over the centre of the flywheel with the welded area in between. The particles within the sprayed solution will magnetise. The outcome is the particles congregating at the point of any crack, however small. If further cracks are found, the head is placed back in the oven for another 24 hours, before welding can once again go ahead. This laborious process may occur a number of times, until every crack has been found. With all cracks found and welded, the head is then taken over for another pressure test. This just double checks that no further cracks remain, which haven’t been previously noticed using the magnetic inspection process. Now with a clean bill of health, machining the head can start. Mounted on the lathe, any areas which have been welded, are machined down to the original specification. After machining, the head is pressure tested one last time, and if all is okay, it is ready to be degreased, and sprayed in Slinden’s default red oxide paint. 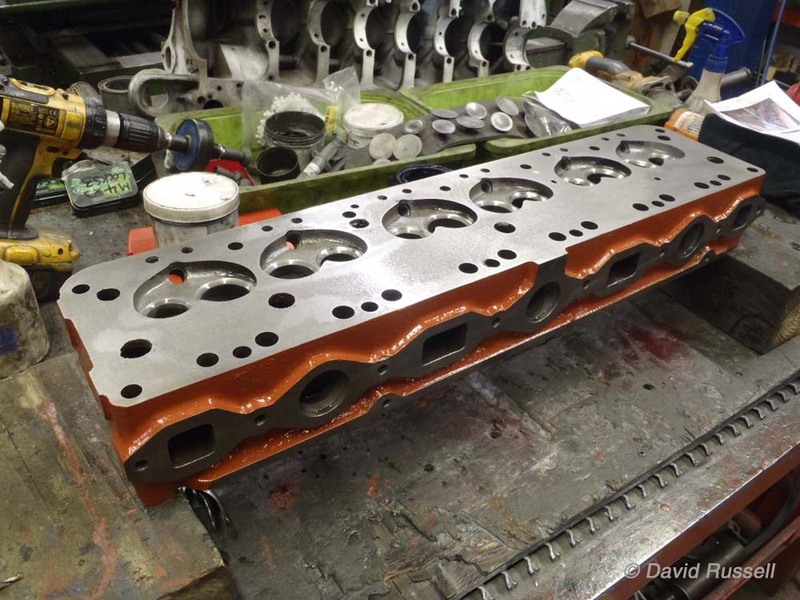 The machined head ready for lapping in the valves. The completed head ready for collection. ACKNOWLEDGEMENTS: David Russell, Managing Director, Slinden Services Ltd.